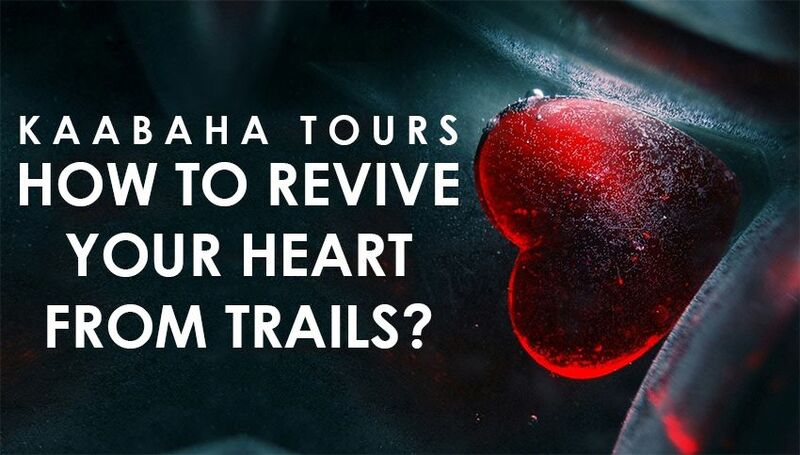 How to Revive your Heart from Trails? If we consider the functioning of the heart with worldly perspective it pumps the blood and supplies into the body. But when you think of yourself not just as human being and subtracting the worldly affairs from your life, there is something more that your heart can do more than just pumping blood into your body. Whatever we like or dislike depends on our choices and whatever choices we make depends on what our heart and our mind accept. Similarly, when you subtract your worldly affairs and desires you find the true meaning of your existence and your heart initiates to turn to the one personality that created you, you start obeying his law and that personality is nonetheless Allah SWT. When you tend to obey the laws of Allah SWT and try to make sure that you just do not skid from the path that has been prescribed by Allah. When you heart starts liking the acts done by you while following the right path you will feel extremely relaxed and satisfied. No matter what ever your problems are happening in your life you will find comfort in every inch of your life. We all know that this life is not permanent instead it’s a short transit where we are sitting in an examination. When you start thinking of your eternal life i.e. life after death, you will automatically find that someone is watching every action of yours, it is being recorded, and you will be answerable for it one day. When this feeling will be hatched in your heart you will automatically find an escape from your wrong deeds but more importantly you will also try to practice the teachings of Islam and you will try to practice good deeds as much as possible to rectify the errors and mistakes that you made in your life previously. When you go to a doctor, he examines you and gives you a prescription. Similarly, when you feel sinful and your heart feels a burden you move your gaze down and bend towards Allah. You ultimately seek forgiveness and find eternal peace in asking for forgiveness. You try to conversate with Allah through prayers, supplication, recitation of Quran. You try to find as many as possible ways to make sure that no matter what happens you must seek eternal peace for your heart.